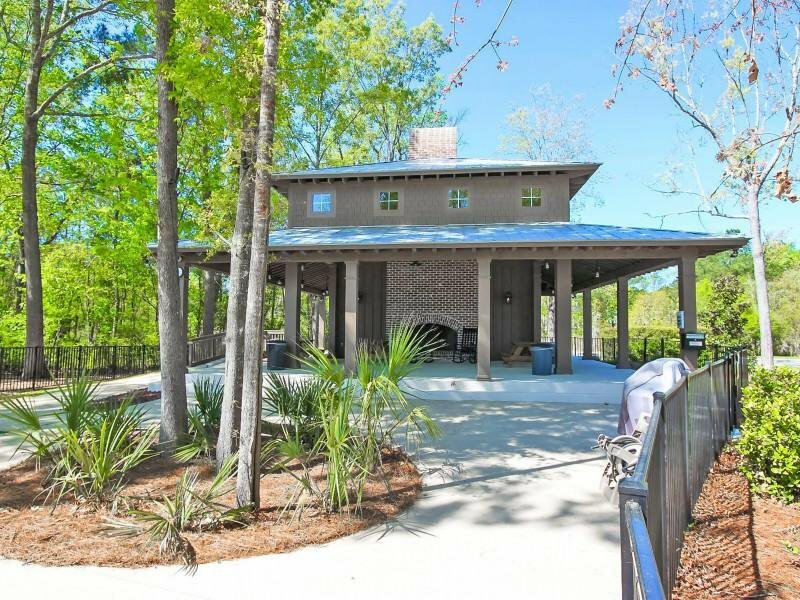 STUNNING Carolina Bay 3 bedroom home. 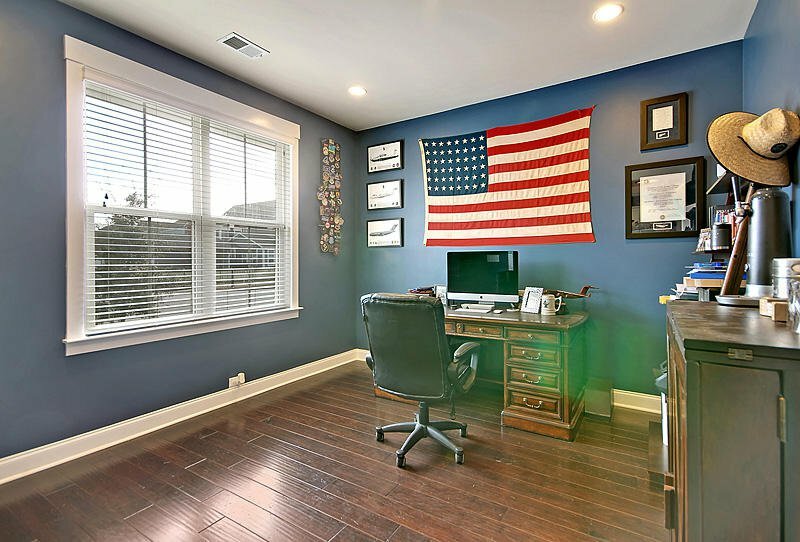 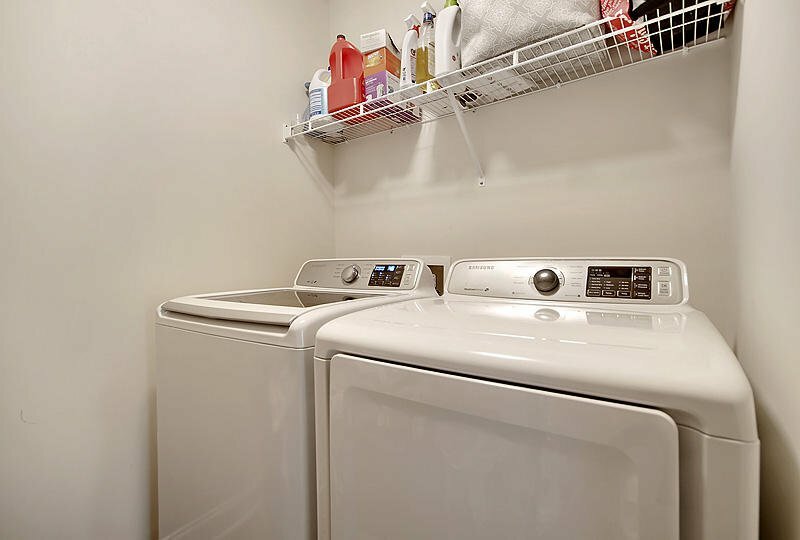 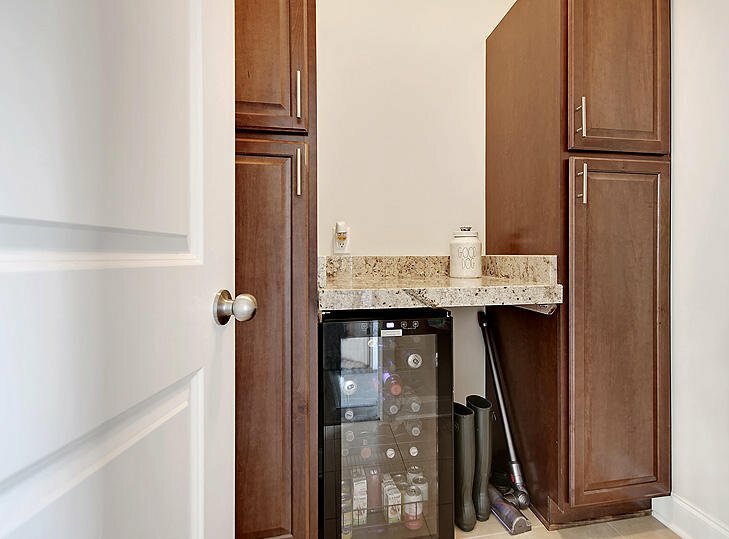 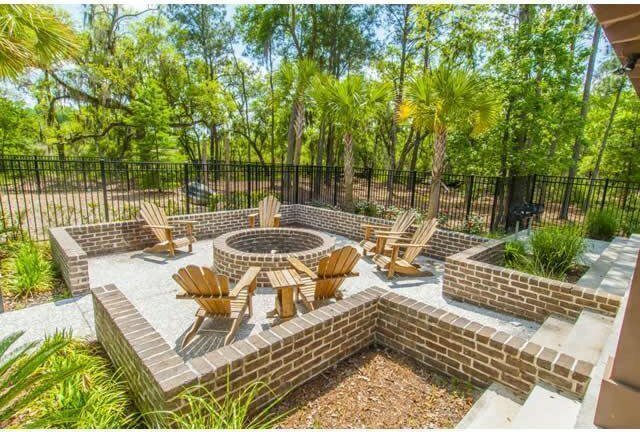 Conveniently located near shopping, dining, major highways, area beaches, and only minutes to Downtown Charleston. 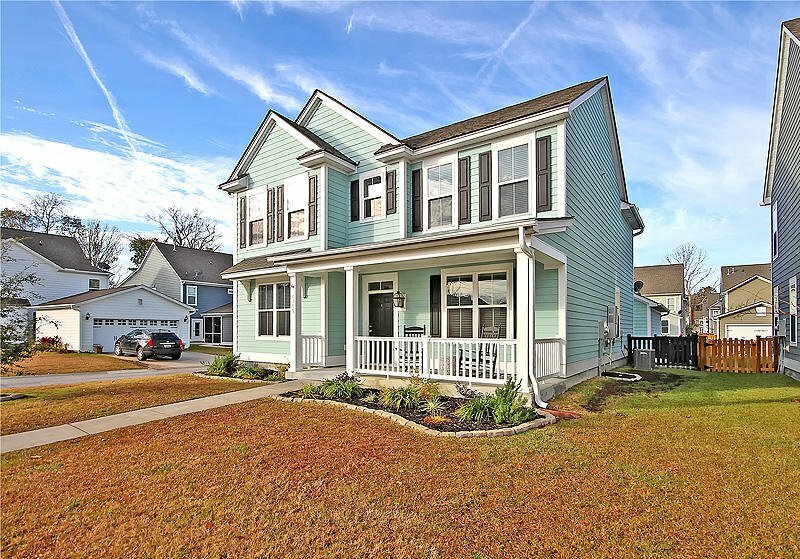 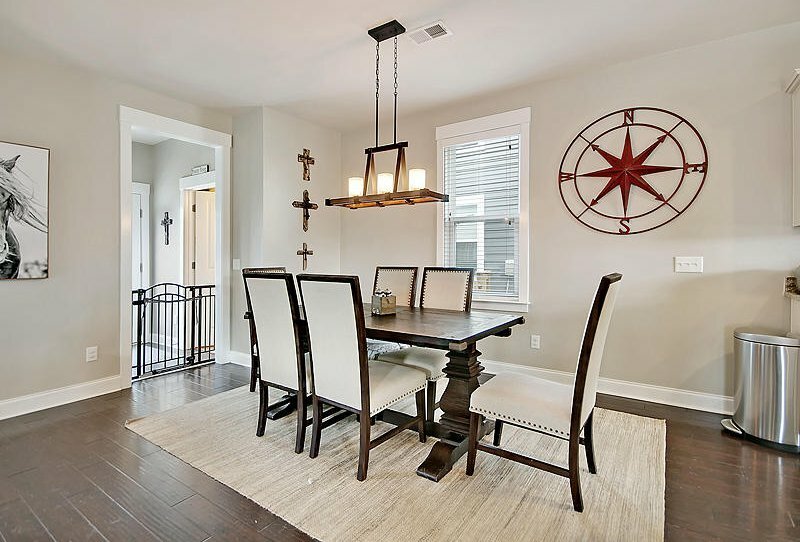 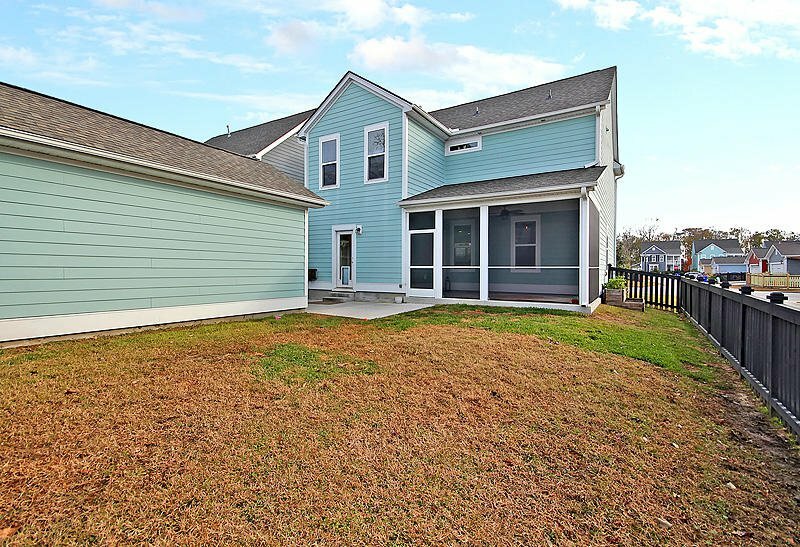 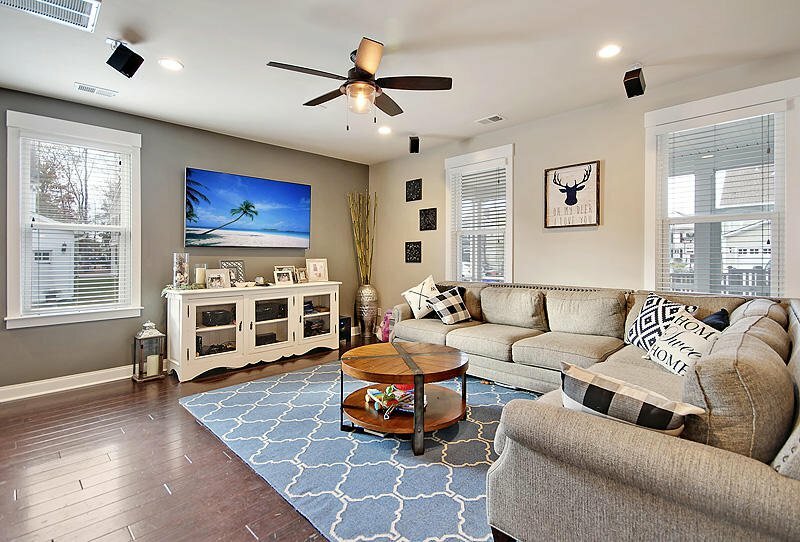 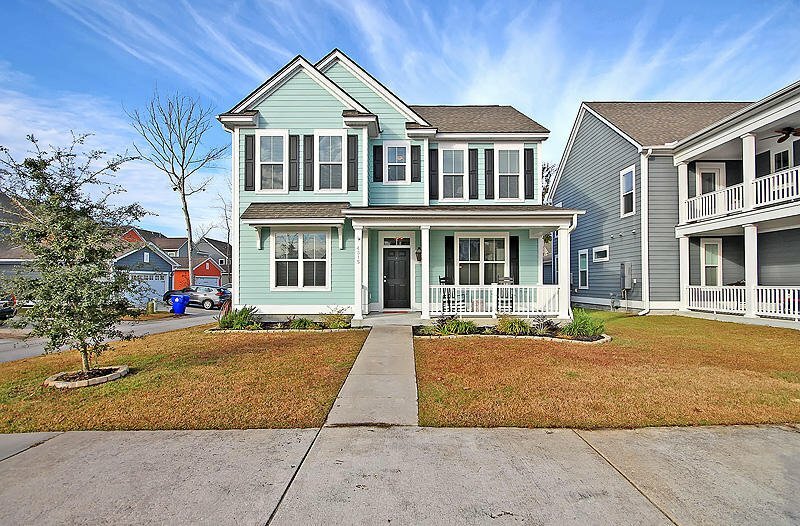 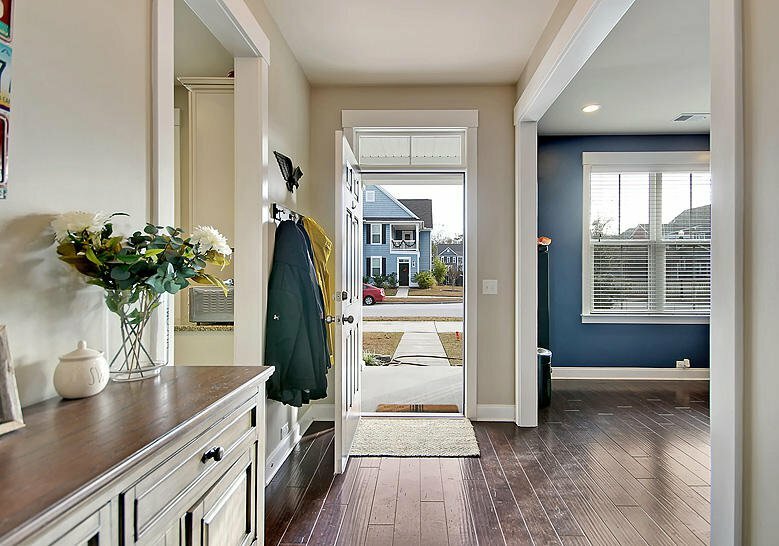 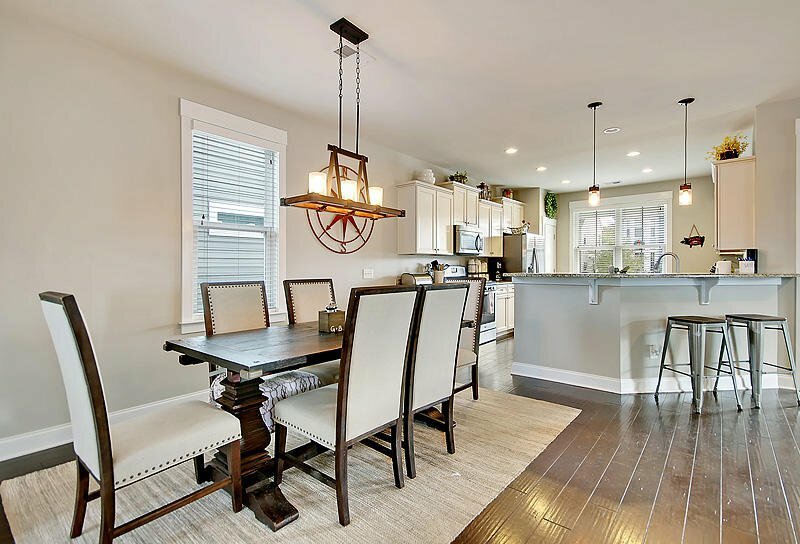 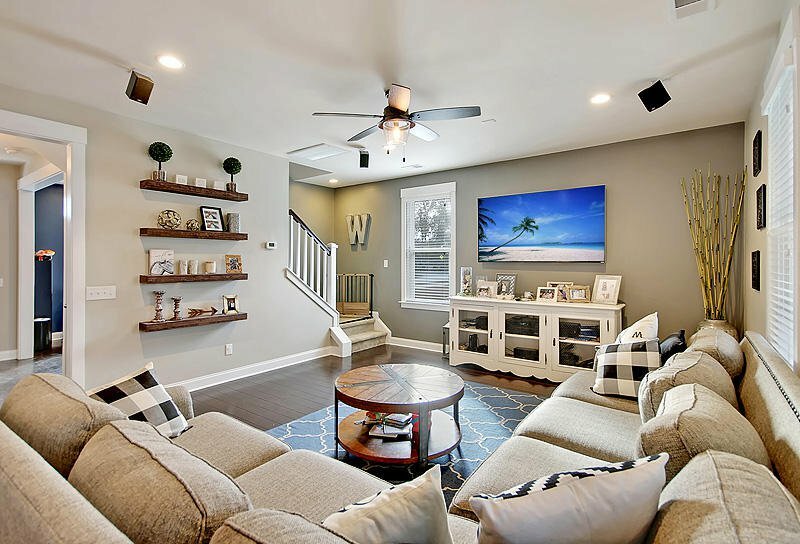 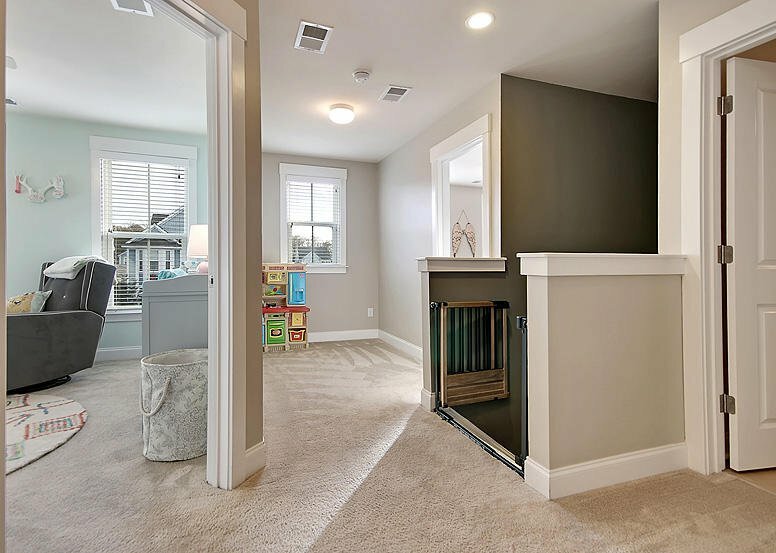 This beautiful home features a relaxing front porch, custom paint, hardwood floors, extra storage space, and a bright and open floor plan. 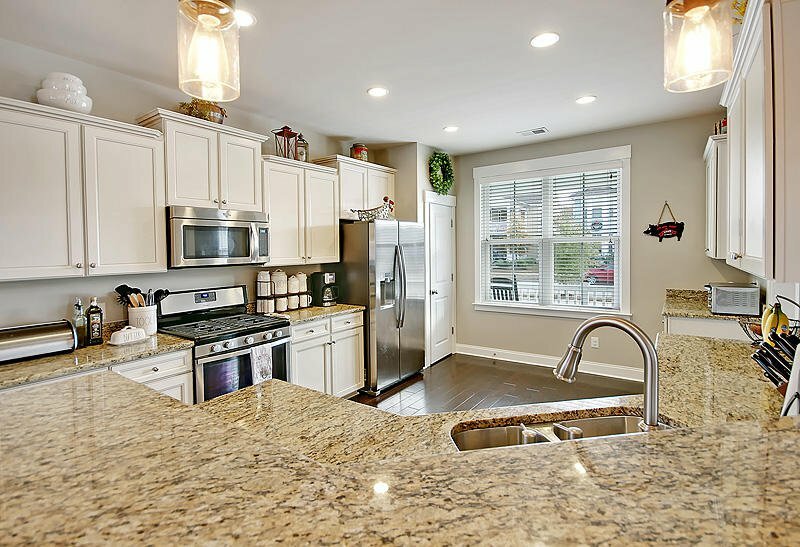 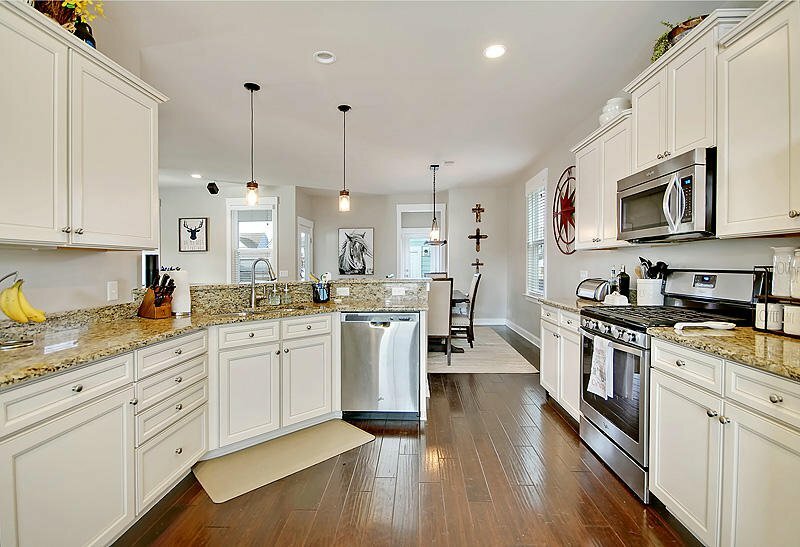 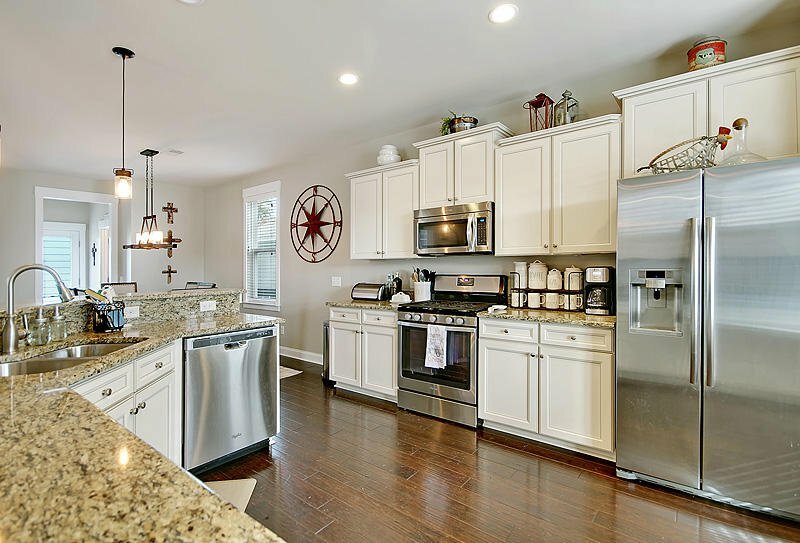 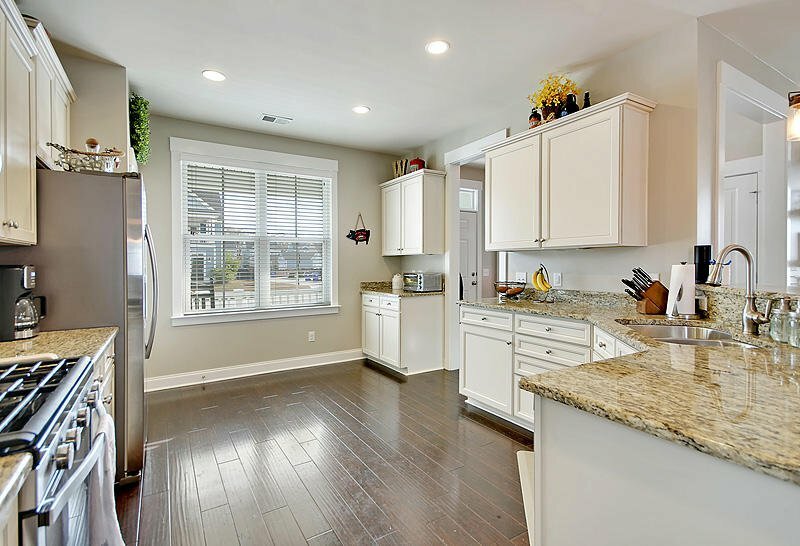 The kitchen is a cooks delight, with granite countertops, white cabinets, upgraded fixtures, a breakfast bar, and stainless appliances. 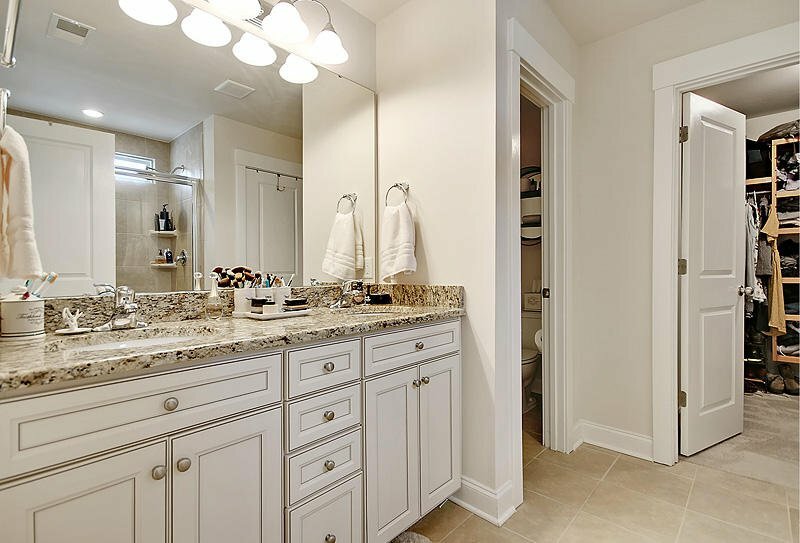 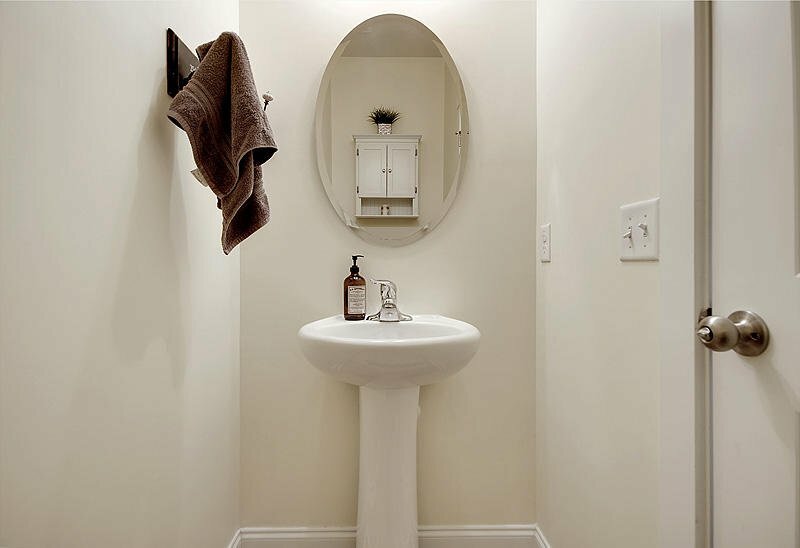 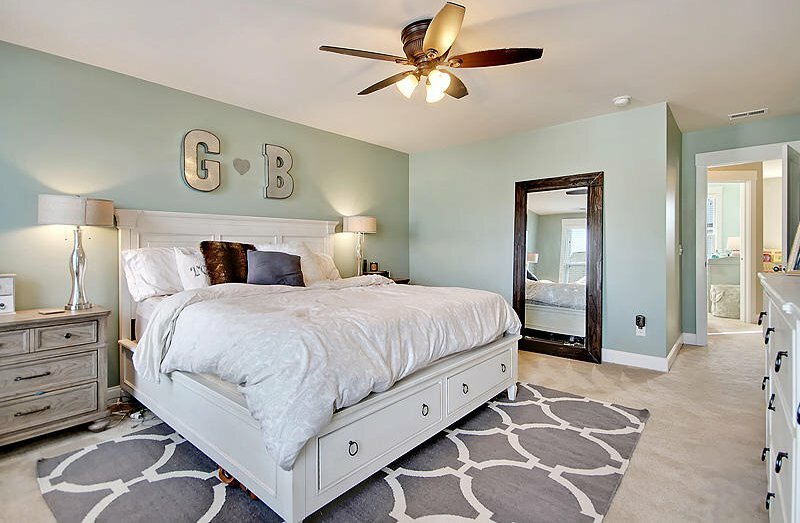 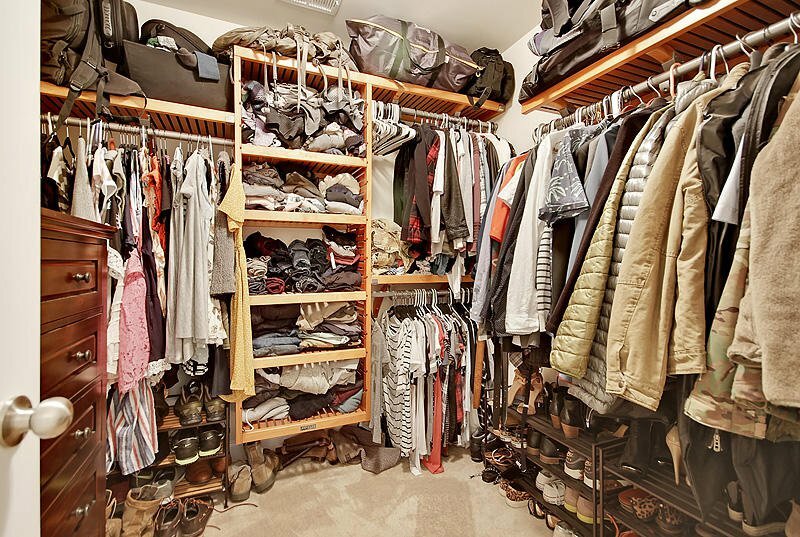 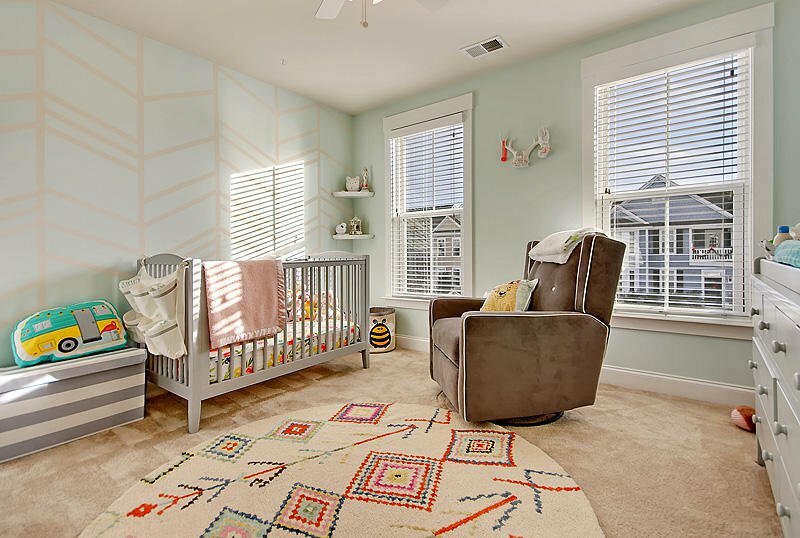 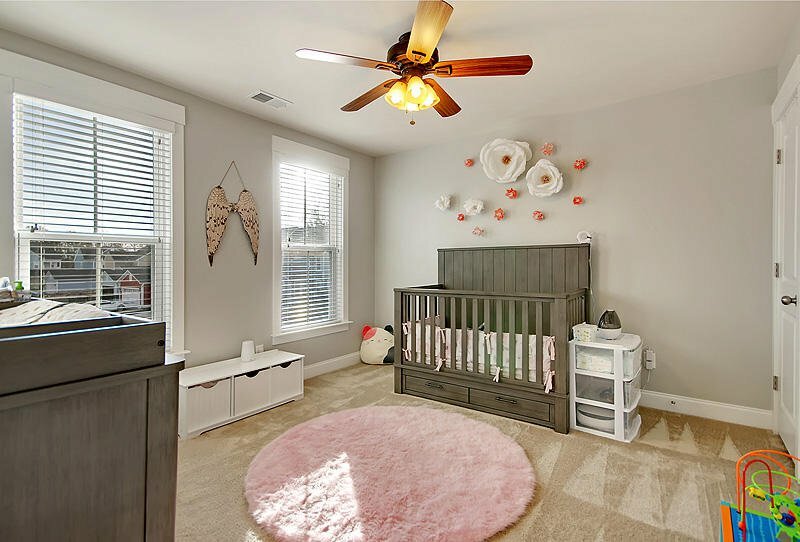 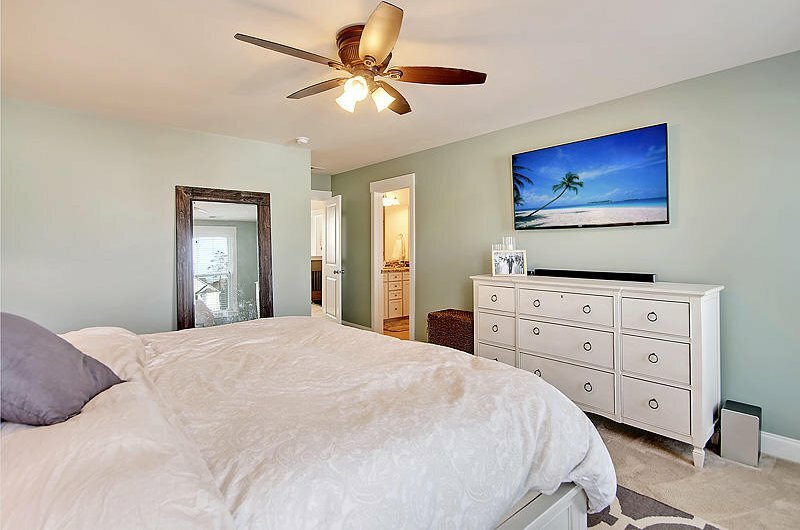 The spacious master bedroom offers a large ensuite, with dual vanities, a water closet, step in shower, and a walk-in closet with custom wood shelves for storage. 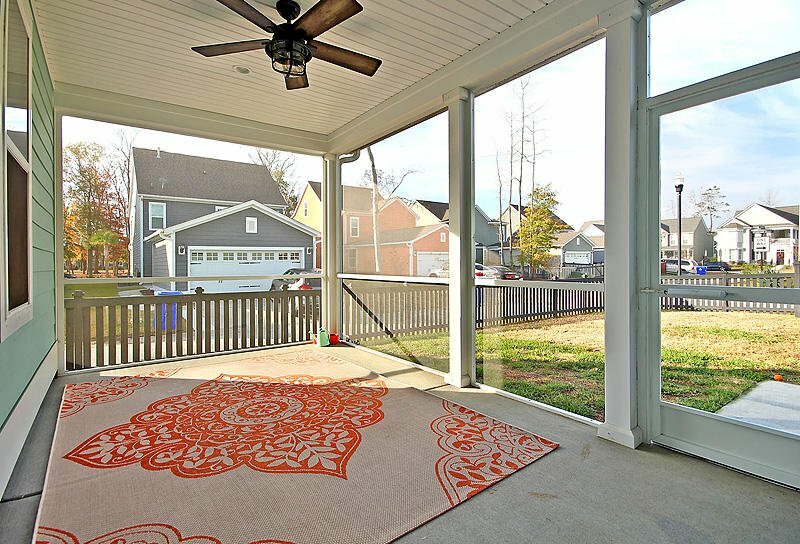 Outdoor entertaining is easy on the screened back porch with access to the patio. 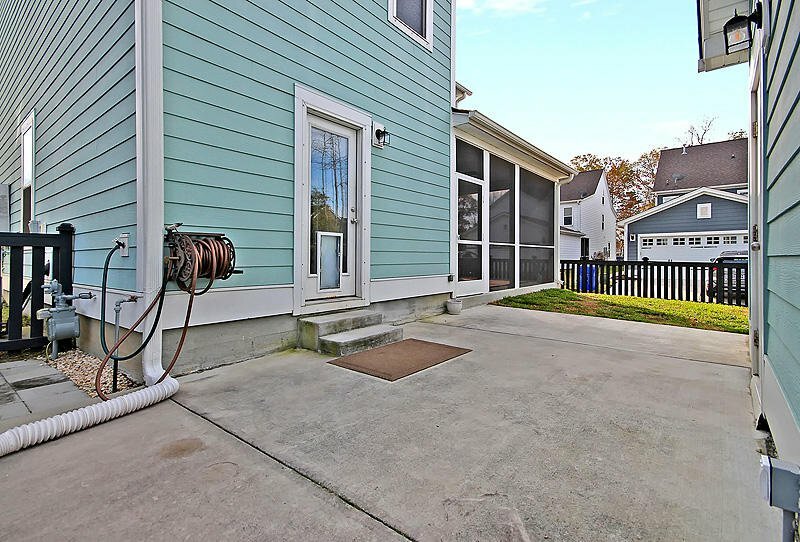 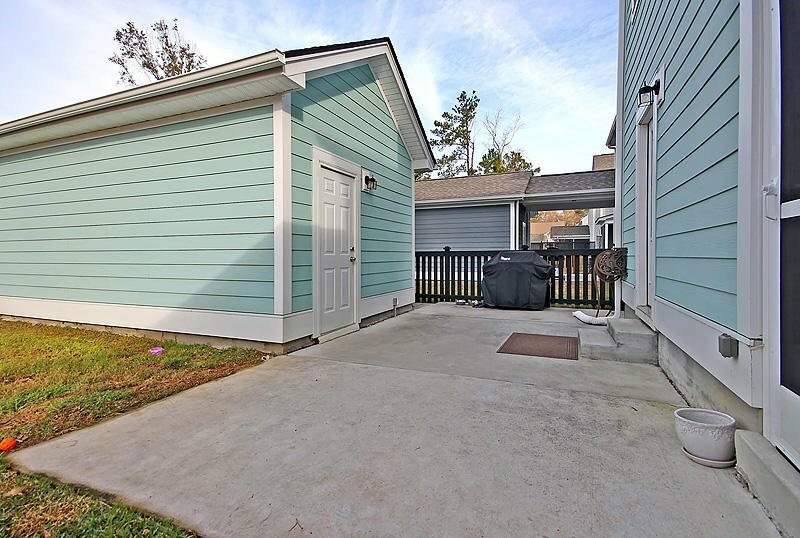 There is a pet door, and a fully fenced backyard. 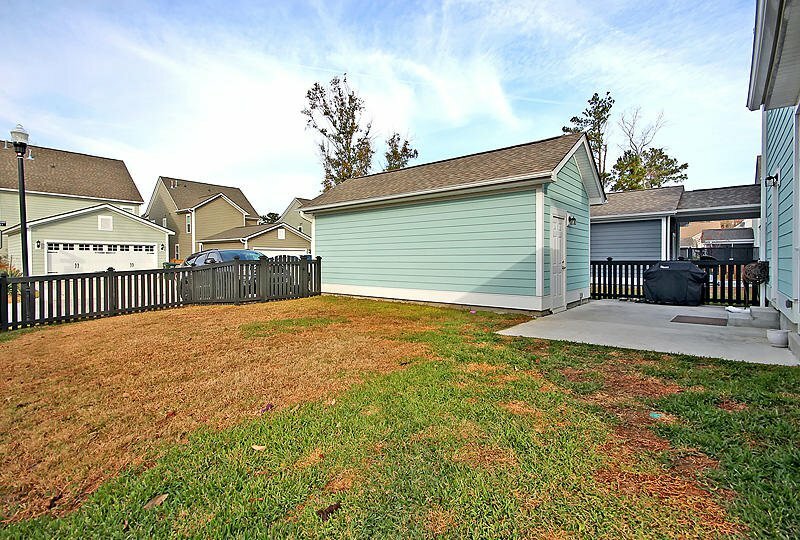 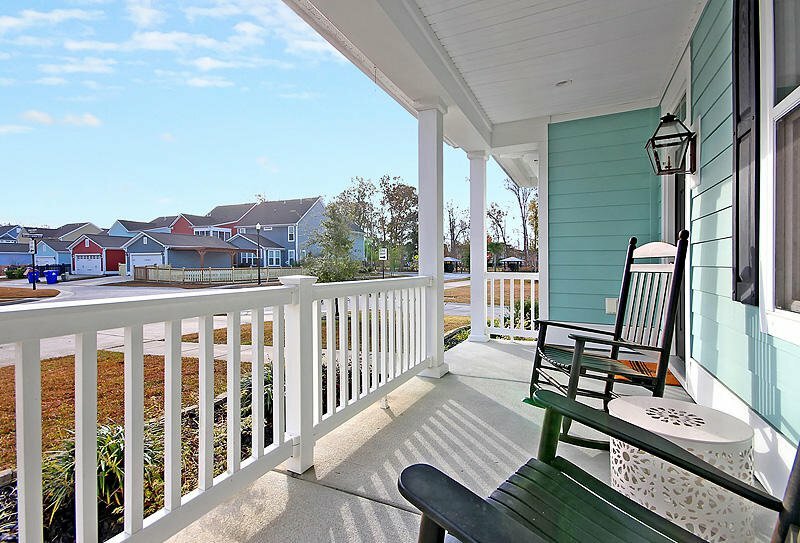 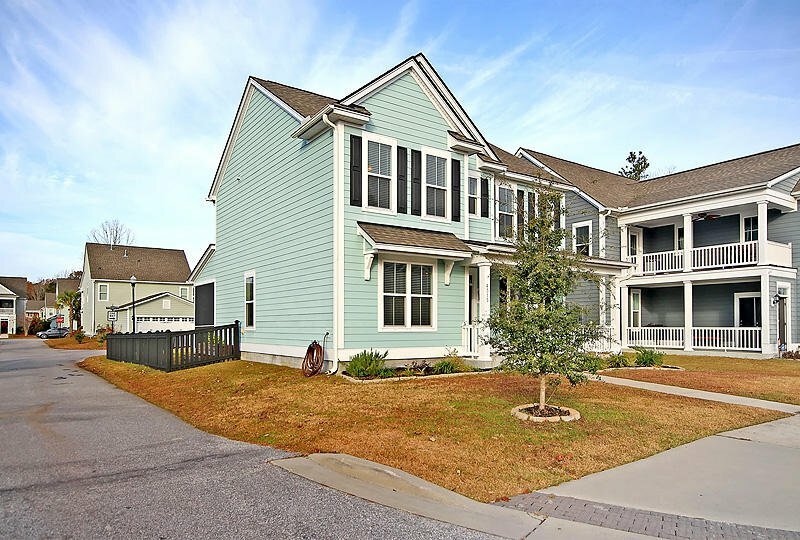 Carolina Bay is a HIGHLY sought after community. 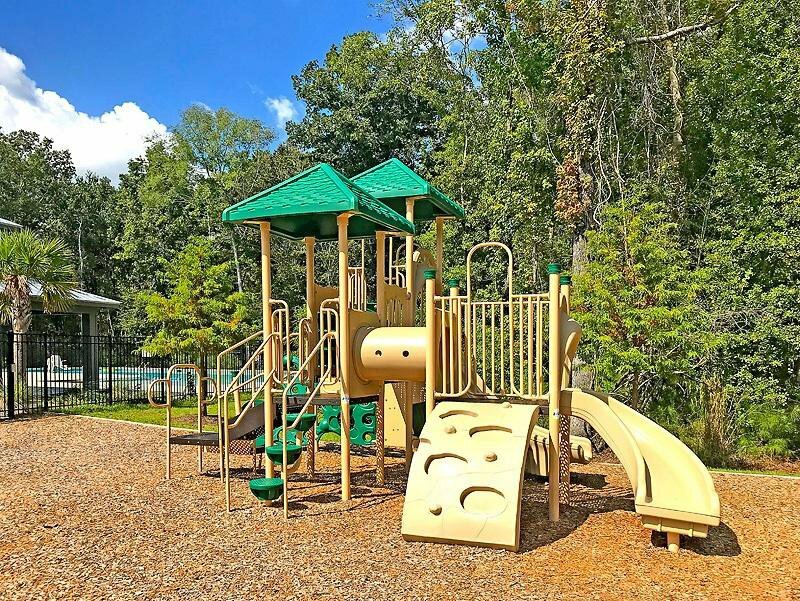 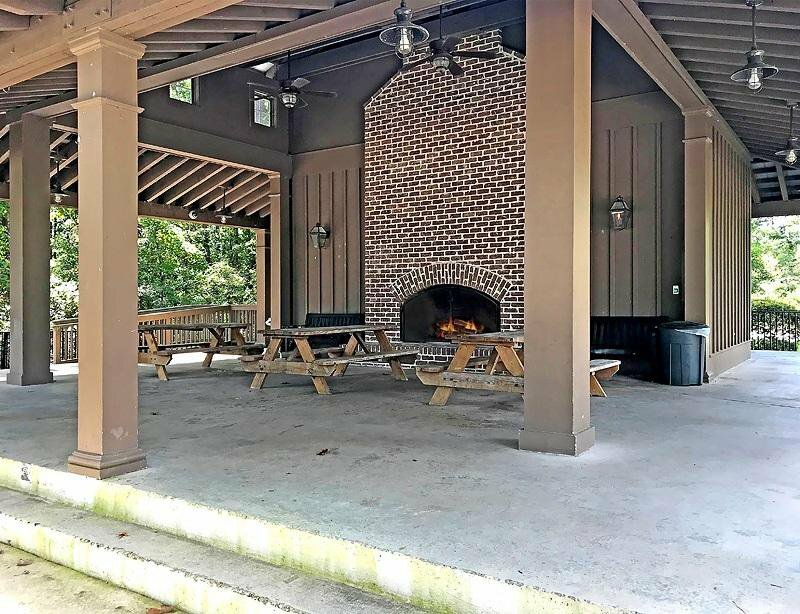 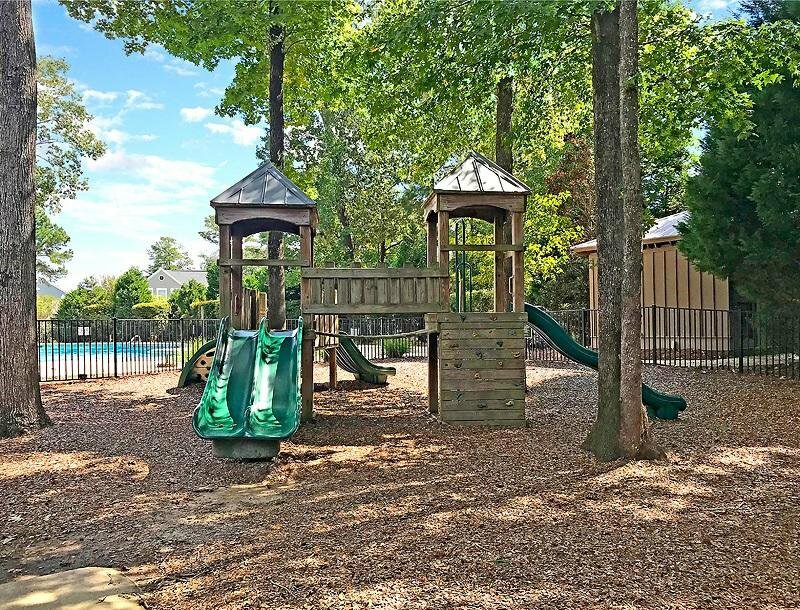 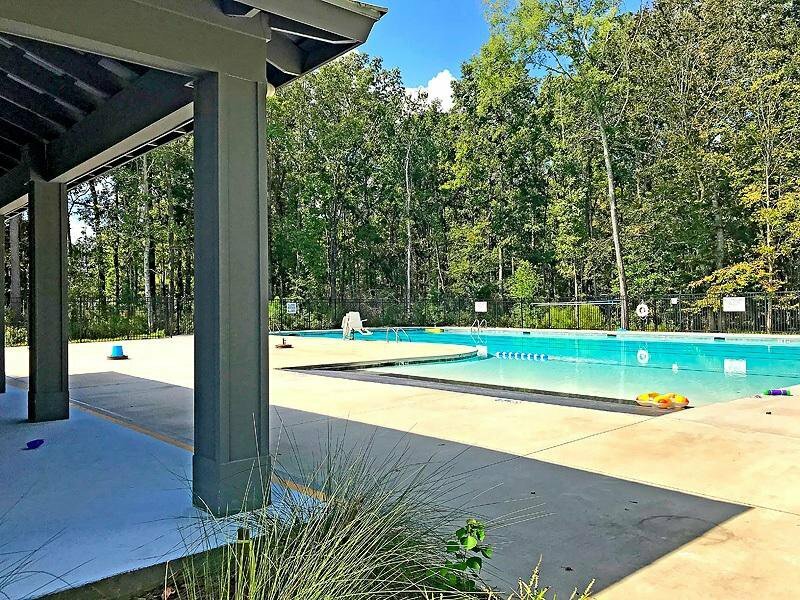 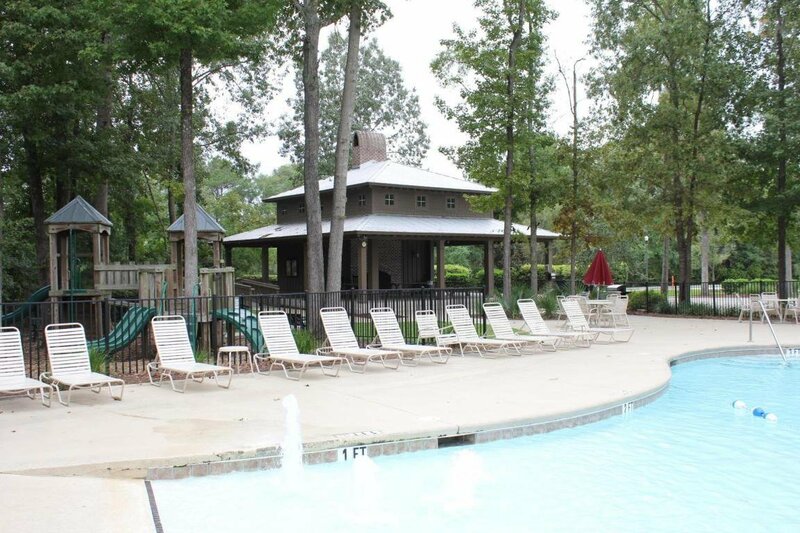 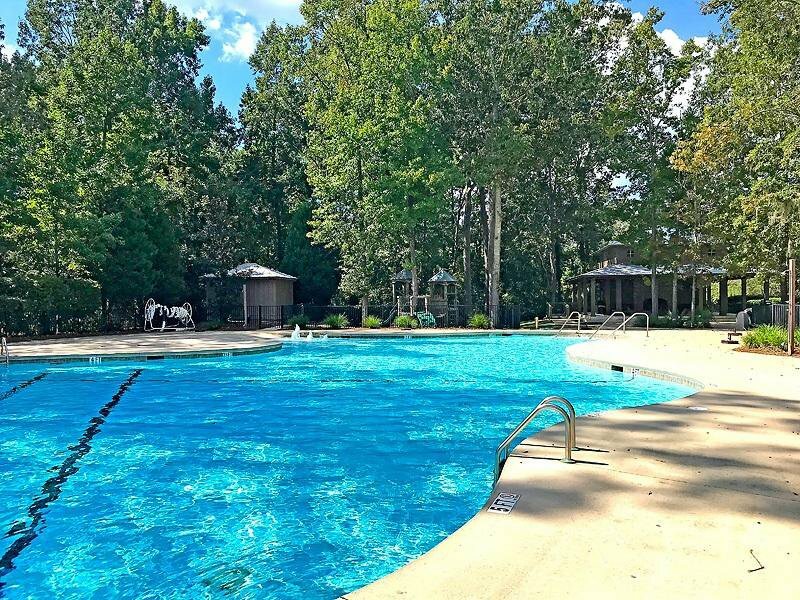 Amenities include 3 pools, playgrounds, dog park, and oyster pavilion, in a beautiful marshside setting. 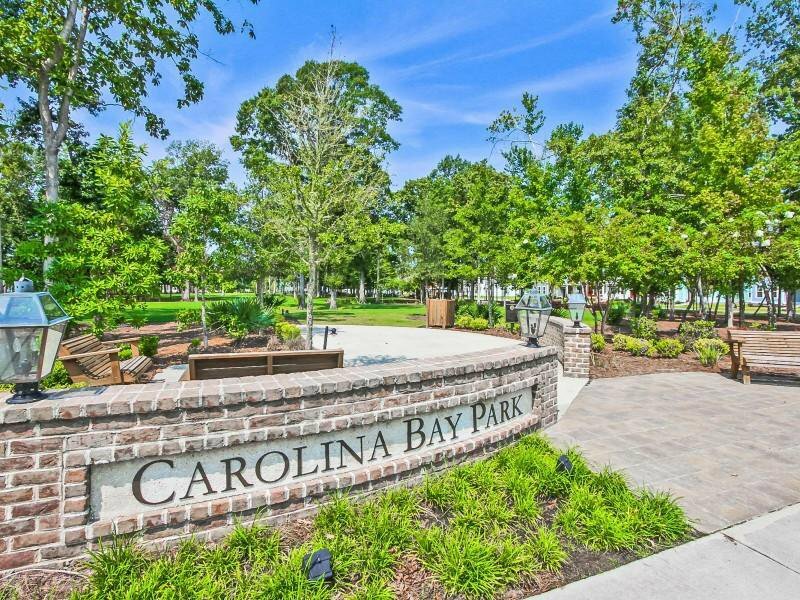 Carolina Bay Park is one block away, where you can enjoy food truck festivals, and movie night under the stars with the family. 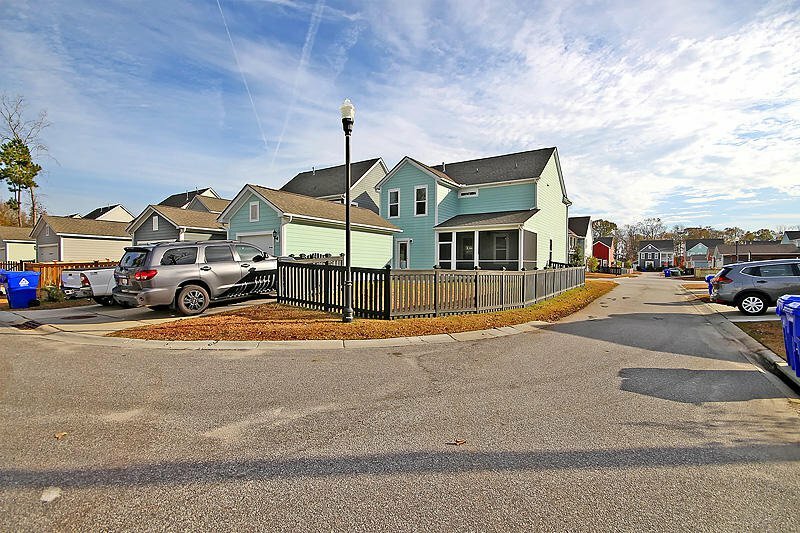 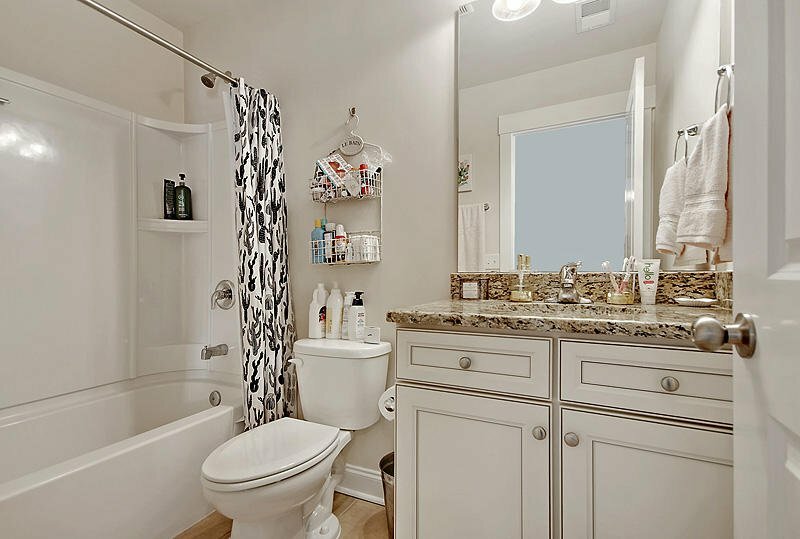 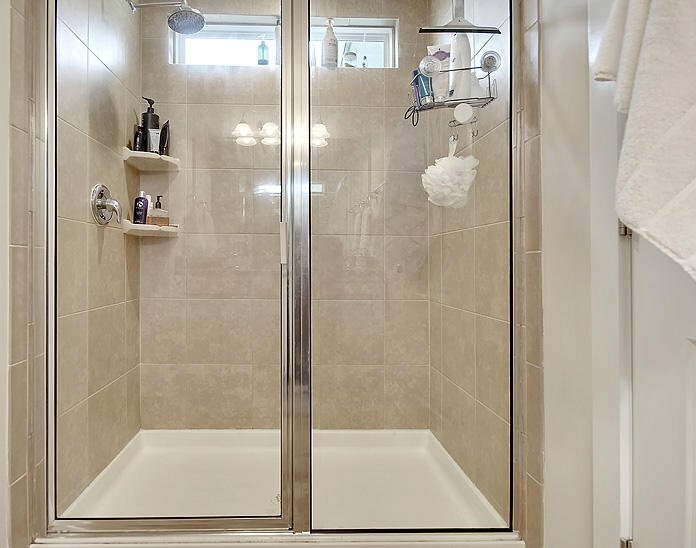 Don't wait to see this home!